We first met the Seitz family back in December when their eldest son, Air Force Sgt. Rick Seitz, finally returned home from his latest deployment from Iraq. He hadn’t been home for the holidays in six years. After a wonderful and warm homecoming, Sgt. Seitz has returned to his Air Force base in Arizona and once again left his home behind. 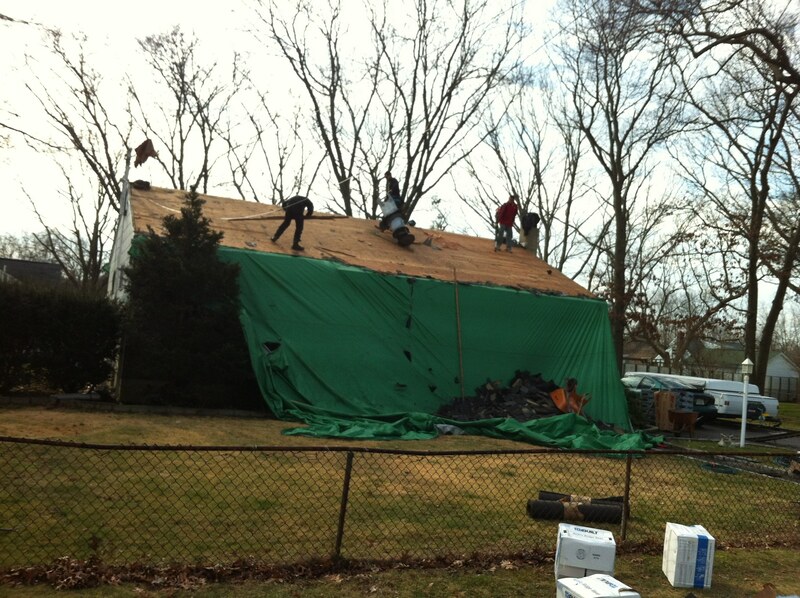 A home that was in desperate need of repair. Make It Count Foundation found the Seitz family through their partnership with The Long Island Blue Star Moms/NY6 and Gold Star Moms. Blue Star Moms are moms who join together to share their pride, their devotion and their worries for their sons and daughters currently serving in all branches of the Armed Forces of the United States as well as their sons and daughters who are now veterans. The Gold Star Moms is an organization of mothers whose sons or daughters served and died in service that this world might be a better place in which to live. These selfless women willingly give of themselves for their community. They are generous with their time and talents and Make It Count Foundation wanted to give back to one of these wonderful families. When Air Force Sgt. Rick Seitz, who had served two tours in Afghanistan and one in Iraq, returns to visit home again, he will see the wonderful renovations done to his childhood home. His parents Fred and Sandy Seitz of East Islip have sent him a few pictures but pictures cannot convey the beautiful renovations. The house looks so updated and different and the Seitz Family is so grateful and amazed at the work and devotion of this wonderful Make it Count Foundation Program. ” Words cannot express the heart felt thanks to you and your organization for what you have done for my parents. My parents have always done everything for everyone else while ignoring their own needs. It’s amazing to see such an amazing group of people recognize that and pull together to do something wonderful for them. ” Air Force Sgt. Rick Seitz writes in a letter to his parents. Make It Count Foundation believes in honoring our heroes and ensuring that their lives are enriched as a result of their sacrifices. Make It Count Foundation is committed to serving our Veterans and Active Duty Military here on Long Island who have given so much for us. 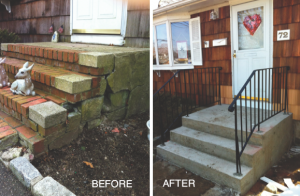 Operation Renovation, the main initiative, provides access to safe, medically appropriate and affordable housing renovation solutions to those who have served our country. “By addressing their needs in housing, we aim to allow our veterans to concentrate their resources towards other needs on their journey back to civilian life,” says Jon Reese, Make it Count Foundation Founder. All renovations are at no cost to the veteran or family through the generous support of individuals, foundations, and corporate contributors. Make It Count Foundation has already given back over $100,000 in multiple projects from converting an attic to accessibility building renovation for the VFW Patchogue; as well as renovated “Vets Place”, the Suffolk County United Veterans homeless shelter in Yaphank. Make It Count also renovated two bathrooms and a bedroom, and repaired the roof and siding for SCUV (Suffolk County United Veterans) homeless shelter. Looking ahead in 2012, Make It Count Foundation has an aggressive goal of Complete Renovations of 5-7 homes of Long Island Military Veterans. Make It Count Foundation realizes its mission for Veterans and Active Duty Military through the development and implementation of dynamic programs providing resources for optimal health (Bikes for Fitness program), housing (Operation Renovation), and education (scholarships and Backpacks for Education program). In order to increase its efficiency, Make It Count Foundation has formed strategic partnerships with leading nonprofits and community organizations when appropriate. 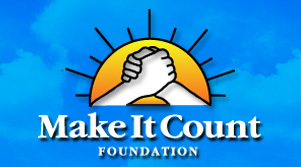 Make It Count Foundation is a registered 501c3 public charity and has collaborated with United Way of Long Island, Habitat for Humanity of Suffolk, Big Brothers Big Sisters of Long Island, and the Great South Bay YMCA on past programs.